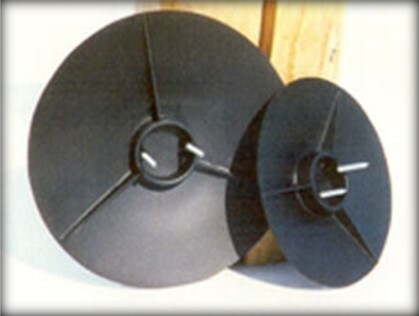 The ProTop can be used alone or in conjunction with the Star-Lock for maximum pole top protection. 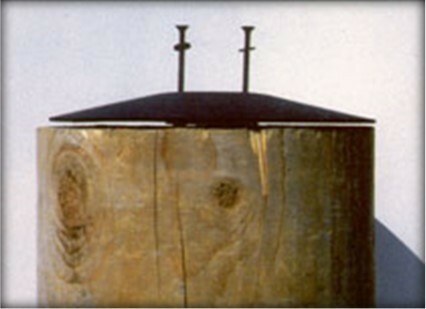 The prime function of the ProTop is to reduce moisture change extremes in the center of the pole tops. These moisture changes result in checks that develop as wood shrink and expands. (acrylonitrile butadiene styrene) plastic at 3/32’’ for all dimensions. The black ABS will reduce heat extremes and provide UV protection for the pole top. The low cost of the Star-Lock and ProTop relative to the major capital investment in a wood pole plant makes usage on every pole a cost effective, smart decision.